- A scrap vomit quilt for a friend. I re-sorted my stash and lo and behold I have enough scraps to actually separate them by colour. So this project is the one that is going to gobble them up. - An angelic wall hanging for another friend. It was supposed to be for Christmas but... 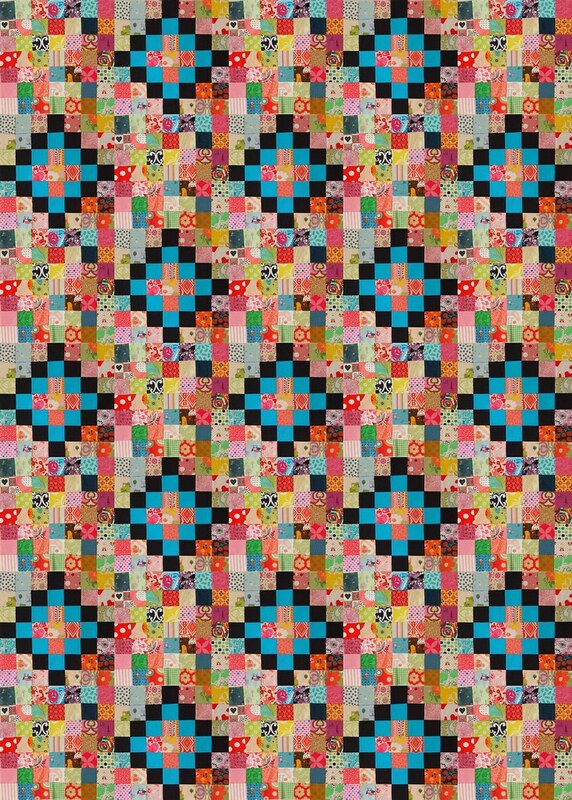 I think it would be simple and delightful and just sweet especially in super colours and fabric (pattern from an old edition of Homespun magazine). 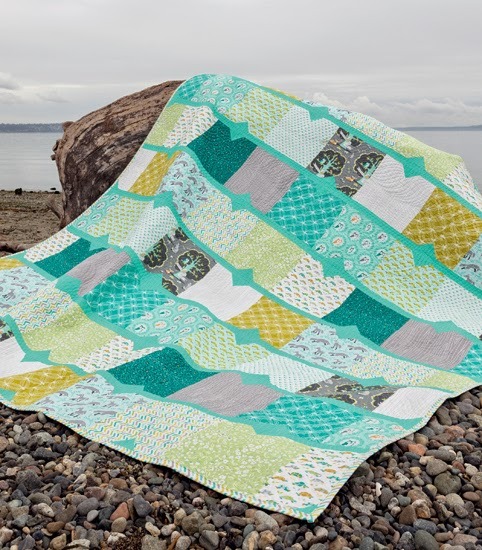 - Fox River Quilt - I have my eye on a few of the quilts in John Adams' book Beyond Neutral. Next in line is this beauty. - Also some crochet. I really want to nail down the pattern for these Zebra slippers I made up for one of my girls last year. So what about you crafty cookies? What plans, schemes, hopes and dreams are in your creative future? And dont forget to link up and away any goodies you'd like to share! Thanks a bunch for stopping in. A: You are a reading machine - you finish them off at the rate of at least one book a day... your appetite for books is insatiable! Lucky we had a fresh supply of 24 library books (you were so excited about that!) when you came down with a yucky bug. Your non-stop jibber-jabber stopped for the weekend, but before long those energy levels were back up to normal. Drawing, reading, biking, talking talking talking... your little brain barely ever stops. H: You are loving school and are basically part of big sister's class and still managing to be a friend to everyone in your class. You are always being called and greeted from all manner of children and teachers. And my heart swells when I see how kind and inclusive you are to children who are new or struggling. What a gem you are. Ok so I don't have anything new to show...shock horror! Doesn't mean I haven't been making stuff! Though to be fair there's not an awful lot of making going on... I am quite sure that my days are going down a black hole of forgotten nothingness... or I'm loosing my mind... anyhoos... When I presented my wee conundrum to a friend she gave me a great suggestion - let's do a Ghosts of Christmasses Past post! So gather round, gather round and please share some of your cracker Christmas makes from previous years (or this year!). Gifts, decorations, foodie items... let's pool our resources! Some of my favourite goodies made were just from last year - baubles for Africa, mushrooms and teeny socks... but i think the apples took the cake. So share your clever creations with us please? Link up new makes, old makes, Christmas makes, non-Christmas makes... Go on - sharing is caring! Pattern for the mushrooms here, and patterns for the baubles and apples here. Have a wild weekend peeps. A dear friend has been in a lot of pain of late... not that you would really know as she's a trooper and just keeps on swimming one way or another! This hottie cover was included in a care/love package collaboration sent down to cheer her up. This is the 3rd one of this "variety" I've made and it was a joy. Such happy happy bright colours! And I love finding little different ways of making them a little different from each other. This time the teeny leaves seemed exactly right for the colour scheme. It's been used and loved and is fulfilling it's purpose - cant ask for more than that! Do you like customising and tweaking things here or there? What have you been working on? Looking forward to seeing your creations... perhaps one or two Christmas goodies will be up for show?